With his fresh sound and positive vibes, Dutch DJ/Producer Jack Wins is already winning over the biggest tastemakers in the industry with DJ Mag (UK) handpicking him as one of their ‘Ones to Watch’ in 2016! In February 2016, Jack stormed onto the scene with his debut release ‘Give It Up’ on Laidback Luke’s ‘Mixmash Deep’ imprint. It wasn’t long before industry heavy weights like Don Diablo, Tiesto and Oliver Heldens started playing it in their radio shows. iTunes featured it as their ‘Hot Track’ and Spotify handpicked it for their ‘Fresh EDM’ playlist. With 5 consecutive plays on BBC Radio 1 and over 700k plays on Spotify, ‘Give It Up’ set the industry alight with accolades from all corners of the scene. 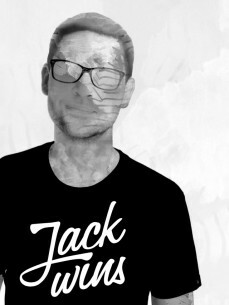 Following the phenomenal debut success, Jack continued the buzz with heavy hitters like ‘Slave 2 Love’ (Mixmash Deep) and ‘Good Love’ (Armada Deep) – showing the industry he’s on a winning streak. His relentlessness was shown once more when ‘I Used To Love You’ (Mixmash Deep) hit the Beatport Top 10 after major support from tastemakers. It wasn’t long before BBC Radio 1 picked it up and caused the record to trend in Shazam’s UK Dance Chart. In addition to solo productions, Jack is also becoming the ‘go to’ guy for remixes; having already put his signature touch on #1 records for Clean Bandit, Dua Lipa, Naughty Boy and Tom Odell. His remix of ‘Rockabye’ even peaked at #2 on Beatport! Since Jack’s debut at the world famous Ministry of Sound, this Dutchman has been touring around the world; picking up fans across Europe, Asia and beyond in the process.